I have been writing for almost a year about a time of my life when the two most important people were my best friends, Troy and Mark. Both of these friendships have hit shoals at times, and looked like they were sunk. But 33 years later, they are not. The two guys I met at Hellgate High School when I was 16 years old are still my friends. I trust they always will be. I want to say this because what I am publishing in the next months might cause a reader to wonder. So I want to say at the outset that I love my friends and I am grateful for all the times we shared, good and bad. I first talked with Troy my freshman year, in the spring of 1979. I walked into the Lance office, where Troy served as the news editor, and told him Todd Hess, the student body president, had agreed to create a new office, that of school historian, and I had been named to the post. Instead of laughing at me, Troy told me to sit down. He took out a steno pad and asked me a few questions and made notes of my answers. Then I left. I’m guessing that’s when Troy laughed. Really, I didn’t want or expect an article. I wanted a look at the newspaper office. I wanted to work there. In the fall I met Troy again. He was now editor-in-chief and I was student in Journalism 1, the prerequisite to serving on the staff. Over the course of the fall, I found myself with new friends, all in J1 or on the staff, including Troy. One new friend was J1 classmate Dave Larson. In the winter, 1979-80, I became acquainted with Mark, Dave’s close friend. Mark already knew Troy from a class or two they had together. I also remember the first conversation I had with Mark. In the hall outside the Lance office, I was telling Dave I thought taking acid was out of the question for me. Everything I had heard about it freaked me out. It was scary and dangerous. You could lose your mind, jump out of a window. Mark chimed in, telling me that it wasn’t dangerous if it was clean, i.e. not laced with other drugs or contaminants. The acid generally available in Missoula was clean. I should think about it. I wasn’t convinced, but I did think about it. That may seem a little shocking, especially to readers who are too young to remember when drugs of every kind were ubiquitous in the schools and on the streets. We could get pretty much anything we wanted, and I mean anything. Yes, many of my friends and I used drugs. It was as commonplace as teenage drinking and more common than teen pregnancy. Teenage drug use in the US reached its peak at that time. It was a different day, before Nancy Reagan’s ‘Just Say No’ campaign. So it wasn’t that strange that I would stand in the hallway of our school talking about dropping acid like it was a new diet. Nor was it strange that the person putting in a good word for it would become one of my best friends. Now the three of us knew each other, and six months later we were fast friends. We formed the Alliance, moved to Seattle, hitchhiked thousands of miles, landed in Midwestern cities far from home, got married, had kids, had our estrangements and reunions, fought and argued and laughed and lived through some real adventures together. Now we all live out west again, and Mark and I are only miles apart. I find it hard to explain how our friendship formed, other than to state the obvious: we liked each other. We were not the same, though in some ways we were, but I think we liked the ways we were different, and over time we changed owing to our friendship. Also, we were willing to conceive our idiot plans, convince one another of their merits, and proceed as if they made perfect sense. 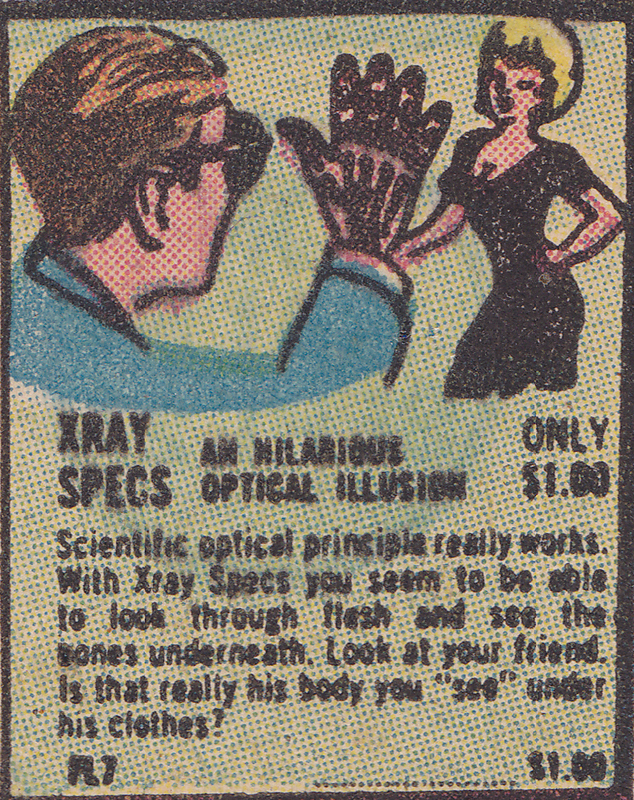 Or: we were willing to go along with them even if they amounted to the conceptual equivalent of X-Ray Specs: Yeah, they probably won’t work, but wouldn’t be cool if they did? Order me some! I feel like we’re army buddies. Not war buddies, but friends for life on account of having huddled together for a night, homeless and hungry in a Tornado Alley thunderstorm – and having known each other for just as long as we’ve known ourselves. Keep in mind, if you should read these posts, nothing is meant to disparage my friends. Yes, we were all fools, and fools together. We’re all agreed on that. Yet our folly was shared, and we seemed to have grown from our common experiences. As I see it, there is not blame; more, there is amazement that we came out alive and still friends. All, I believe, is forgiven if not forgotten. But I am recalling these long-ago stories knowing that my memory is not always accurate, but hoping that what I write is true to the recollections I now have, and what my experiences meant to me then. I hope it is also true to our friendship, which means more to me than anything I might write. In writing this out, Mark and Troy have given me their permission, without knowing what I was going to write. They put a lot of trust in me. I hope, while being as honest as I should be, to not make them regret it. This entry was posted in Autoblography, Journalism, Writing by Steve Dehner. Bookmark the permalink.